Earlier this week, Corey Nakatani was announced as the colt's partner in his next start. Bolt d'Oro has been based at Keeneland since the Kentucky Derby, during which he closely attended the pace of eventual winner Justify. The last sophomore to win the Met Mile was Honour and Glory in 1996. 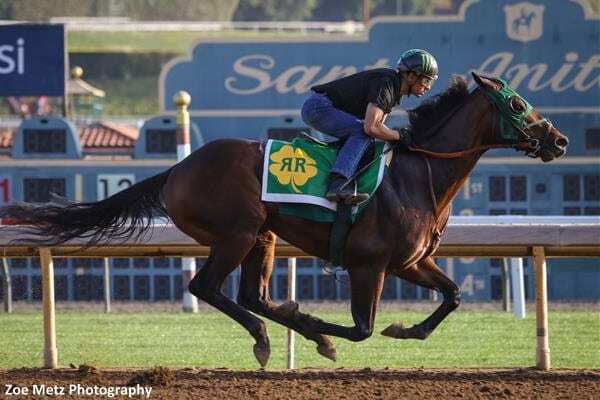 This entry was posted in NL Article, Racing and tagged belmont, belmont stakes, bolt d'oro, Corey Nakatani, honour and glory, Keeneland, kentucky derby, Met Mile, Metropolitan Mile, mick ruis, preakness, Triple Crown by Paulick Report Staff. Bookmark the permalink.